(Photo by: Justin Prather | The Daily Utah Chronicle). As college students forging our own paths, one big step towards “adulting” is making our own food. I try my best to prep meals and then try cooking when I get home. But with a college class schedule and homework load, my food options usually land on coffee, chips and take-out or delivery. All of these aren’t even close to healthy and can end up breaking the bank. From what I have noticed, though, it’s not always cheaper nor more efficient to cook at home. How can you occasionally get out of the house, not cook your own food and not break the bank? Find the happy hours. I am not talking about the binge-drinking discount drinks type of happy hour. As you may already know, happy hour for drinks is actually illegal in Salt Lake City. I am talking about food. 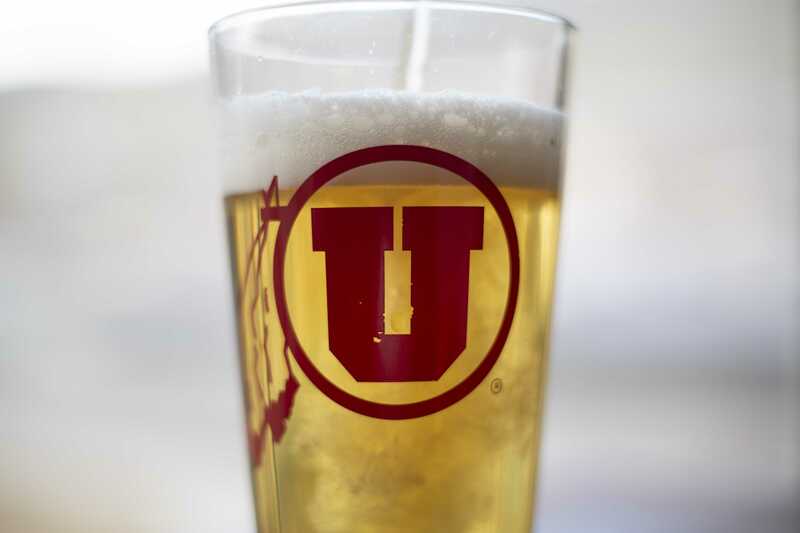 Many of the local and even chain restaurants and bars in Salt Lake have phenomenal happy hours. My favorites based upon atmosphere, cost and food would be Keys on Main, O’Shucks Bar & Grill Ahh Sushi and Gracie’s. Keep in mind, each of these recommendations is a 21+ establishment. Gracie’s is a quaint and friendly bar located in downtown Salt Lake City. There is even outdoor seating with a pleasant view of our bustling downtown. If you don’t like anything else about this place, go for the patio and fresh air. Try to go in the spring or summer ­— the harshness of Utah winters can be no fun. Gracie’s offers brunch options, live music and overall reasonable prices. My recommendation goes towards the brunch for prices and tastes combined. On Gracie’s website is posted, “Kick back with a great meal prepared by an accomplished chef. Listen to some live music. Check out our amazing wine list. Enjoy Salt Lake’s best scotch while taking in the view. No matter what you have in mind, at Gracie’s you can have it all.” This establishment definitely aims to please and not to leave you hungry or broke on your way out. My go-to brunch is “The Hangover.” Sometimes basic is okay. Gracie’s is located at 326 S W Temple, Salt Lake City, UT. Next, we have O’Shucks Bar & Grill Ahh Sushi. Have you ever dreamed of going to a bar and playing pool while eating a sushi roll with bamboo chopsticks? This dream can come true at O’Shucks. One half of this bar has your classic bar food of fried pickles and garlic fries and the other half is Ahh Sushi, an eclectic place where phenomenal sushi chefs make exactly what you want, leaving your tummy happy and content. Their happy hour for sushi has no competition. On Wednesdays, happy hour is all day long. It provides $3 sushi rolls as well as other various items at an extreme discount. There are also happy hour deals Monday through Thursday from 11:00 a.m. to 3:00 p.m., 5:00 p.m. to 6:00 p.m. and 10:00 p.m. to 11:00 p.m. The weekly happy hours offer half-off of your choice of sushi. O’Shucks is located at 22 East, 100 S, Salt Lake City, UT. Finally, we have my all-time favorite music joint, Keys on Main. This dueling piano bar has the perfect atmosphere for you to get a special cocktail, some classic and well-priced soft pretzels and, best of all, enjoy live music. Their happy hour isn’t food-based, but more music-based. Like many music places, Keys on Main charges a cover when you enter to pay for their live music. Fridays and Saturdays have a $5 cover. The beautiful aspect of Keys on Main, however, is that on Wednesdays and Thursdays there is no cover fee and this popular place isn’t overly crowded with music lovers on those nights. Go have an enjoyable time singing and laughing along with friends on nights when all you have to pay for are your reasonably priced drinks and bar food. Keys on Main is located at 242 Main St, Salt Lake City, UT. Don’t stress yourself out trying to afford food and creating time to make it. Just give yourself time to visit one of these cozy bars, enjoy local music and fill those starved college bellies for an affordable price.